Kaplan, Abraham. Rev. of A Grammar of Motives. Journal of Aesthetics and Art Criticism 5 (1947): 233-34. Pollock, Thomas Clark. Rev. of A Grammar of Motives by Kenneth Burke. American Literature 19 (1947-48): 374-76. Faris, Robert E. L. Rev. of A Grammar of Motives by Kenneth Burke. The American Journal of Sociology 52 (1946-47): 449-50. Duncan, Hugh Dalziel. Rev. of A Rhetoric of Motives by Kenneth Burke. The American Journal of Sociology 56 (1950-51): 592-94. Ehinger, Douglas. Rev. of A Rhetoric of Motives by Kenneth Burke. The Quarterly Journal of Speech 36 (1950): 557-58. Melia, Trevor. Rev. of A Rhetoric of Motives by Kenneth Burke. Philosophy and Rhetoric 3 (1970): 124-27. Charland, Maurice. Rev. of Addressing Postmodenity: Kenneth Burke, Rhetoric, and a Theory of Social Change by Barbara A. Biesecker. Quarterly Journal of Speech 84.4 (1998): 514-17. Donohoe, James. Rev. of Attitudes toward History by Kenneth Burke. Arizona Quarterly 16 (1960): 286-87. Rippy, Merrill. Rev. of Attitudes toward History by Kenneth Burke. New Mexico Quarterly 30 (1960-61): 104-06. Schlauch, Margaret. Rev. of Attitudes toward History by Kenneth Burke. Science & Society 2 (1937-38): 128-32. Davie, Donald. Rev. of Book of Moments. Shenandoah (1955): 93-95. Rosenberg, Harold. Rev. of Counter-Statement by Kenneth Burke. The Symposium 3 (1932): 116-22. Quinn, J. J. Rev. of Counter-Statement, 2d edit. by Kenneth Burke. Thought 28 (1953): 469-70. Muller, Herbert J. Rev. of Critical Moments: Kenneth Burke's Categories and Critiques by George Knox. Modern Language Quarterly 19.3 (1958): 272-73. Rev. of Critical Responses to Kenneth Burke, 1924-1966. American Literature 41.4 (1970): 624. Nichols, Marie Hochmuth. Rev. of Dramatism and Development by Kenneth Burke. The Quarterly Journal of Speech 59 (1973): 227. Mackin, James A., Jr. Rev. of Kenneth Burke and Contemporary European Thought by Brenard L. Brock, ed. The Quarterly Journal of Speech 83 (1997): 107-10. Hyde, Michael J. Rev. of Kenneth Burke and Martin Heidegger: With a Note Against Deconstruction by Samuel B. Southwell. The Quarterly Journal of Speech 74 (1989): 496-97. Gall, Robert. Rev. of Kenneth Burke and Martin Heidegger: With a Note Against Deconstruction by Samuel B. Southwell. Journal of the American Academy of Religion 58 (1990): 152-54. McWhorter, Ladelle and David Cratis Williams. Rev. of Kenneth Burke and Martin Heidegger: With a Note Against Deconstruction by Samuel B. Southwell. Philosophy and Rhetoric 23.1 (1990): 75-80. Kuypers, Jim A., and Joy L. Hart. Rev. of Kenneth Burke and the 21st Century by Bernard L. Brock, ed. Southern Communication Journal 65.4 (2000): 347. Feidelson, Charles. Rev. of Kenneth Burke and the Drama of Human Relations by William H. Rueckert. American Literature 36.2 (1964): 232. Miecznikowski Sheard, Cynthia. Rev. of Kenneth Burke in Greenwich Village: Conversing with the Modems, 1915-1931 by Jack Selzer. Anq 12.2 (1999): 64. Stuttaford, Genevieve, and Maria Simson. Rev. of Kenneth Burke in Greenwich Village: Conversing with the Modems, 1915-1931 by Jack Selzer. Publishers Weekly 243.51 (1996): 49. Warnock, Tilly. Rev. of Kenneth Burke in Greenwich Village: Conversing with the Modems, 1915-1931 by Jack Selzer. Rhetoric Society Quarterly 27.3 (1997): 85-88. Farrell, Kathleen M. Rev. of Kenneth Burke in Greenwich Village: Conversing with the Moderns, 1915-1931 by Jack Selzer. The Quarterly Journal of Speech 84.4 (1988): 528-30. Jaskoski, H. Rev. of Kenneth Burke in Greenwich Village: Conversing with the Moderns, 1915-1931 by Jack Selzer. Choice (1997): 1666. Smith, Daniel L. Rev. of Kenneth Burke on Myth: An Introduction by Laurence Coupe. KB Journal 2.1 (2005). Southard, Bjorn F. Stillion. Rev. of Kenneth Burke: A Dialogue of Motives by Jeffrey W. Murray. Southern Communication Journal 68.4 (2003): 355-56. Rev. of Kenneth Burke: Late Poems, 1968-1993: Attitudinizing Verse-wise, While Fending for One's Selph, and in a Style Somewhat Artificially Colloquial. New York Review of Books 52.16 (2005): 31. Alcorn, Marshall. Rev. of Kenneth Burke: Literature and Language As Symbolic Action by Greig E. Henderson. Style 24.1 (1990): 132. Coe, Richard M. Rev. of Kenneth Burke: Literature and Language as Symbolic Action by Greig E. Henderson. University of Toronto Quarterly 60 (1990): 106-08. Cooley, John. Rev. of Kenneth Burke: Literature and Language as Symbolic Action by Greig E. Henderson. American Literature 62.1 (1990): 148-49. Crusius, Timothy W. Rev. of Kenneth Burke: Literature and Language as Symbolic Action by Greig E. Henderson. The Quarterly Journal of Speech 76 (1990): 340-42. Sabatini, Arthur J. Rev. of Kenneth Burke: Literature and Language as Symbolic Action by Greig E. Henderson. Journal of Modern Literature 16 (1989): 320. Cain, William E. Rev. of Kenneth Burke: Literature and Language as Symbolic Action by Greig E. Henderson and Kenneth Burke and Martin Heidegger: With a Note Against Deconstruction by Samuel B. Southwell. Horns of Plenty: Malcolm Cowley and His Generation (1989). Soyland, John. Rev. of Kenneth Burke: Rhetoric and Ideology by Stephen Bygrave. Language and Literature 3.1 (1994): 67-68. Brummett, Barry. Rev. of Kenneth Burke: Rhetoric, Subjectivity, Postmodernism by Robert Wess. The Quarterly Journal of Speech 83 (1997): 484-85. Tompkins, Phillip K. Rev. of Kenneth Burke: Rhetoric, Subjectivity, Postmodernism by Robert Wess. Philosophy & Rhetoric 32.4 (1999): 381-87. George, Anne. Rev. 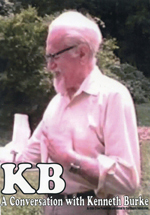 of Landmark Essays on Kenneth Burke by Barry Brummett. Rhetoric Society Quarterly 26.1 (1996): 90-93. Hymes, Dell. Rev. of Language as Symbolic Action. Language 44 (1968): 664-69. Le Brun, Phillip. Rev. of Language as Symbolic Action. Review of English Studies 20 (1969): 243-46. Hughes, Daniel. Rev. of Language as Symbolic Action by Kenneth Burke. Criticism 10 (1968): 251-53. Clark, Miriam. Rev. of Late Poems, 1968-1993 by Kenneth Burke. KB Journal 3.1 (2006). Allen, Gay Wilson. Rev. of Leaves of Grass ONE HUNDRED YEARS AFTER: New Essays by William Carlos Williams, Richard Chase, Leslie A. Fiedler, Kenneth Burke, David Daiches, and J. Middleton Murry. American Literature 27.3 (1955): 433. Shreve, J. Rev. of New and Selected Essays by Howard Nemerov. Choice 23 (1985): 116. Rev. of Permanence and Change: An Anatomy of Purpose by Kenneth Burke. American Sociological Review 2.1 (1937): 2. Fannin, Leon F. Rev. of Permanence and Change: An Anatomy of Purpose by Kenneth Burke. American Sociological Review 31.2 (1966): 277. Eliot, T.D. Rev. of Permanence and Change by Kenneth Burke. American Sociological Review 11 (1937): 114-15. Wirth, Louis. Rev. of Permanence and Change by Kenneth Burke. The American Journal of Sociology 43 (1937-38): 483-86. Fleming, Rudd. Rev. of Perspectives by Incongruity and Terms for Order. Modern Language Journal 69 (1965): 396-97. Kuczkowski, Richard. Rev. of Reading America by Denis Donoghue. Library Journal 112 (1987). Emerson, O.B. Rev. of Reading Faulknerian Tragedy by Warwick Wadlington. American Literature 61 (1989): 124. Brummett, Barry. Rev. of Realism and Relativism: A Perspective on Kenneth Burke by Robert Heath. The Quarterly Journal of Speech 73 (1987): 359-60. Enholm, Donald K. Rev. of Realism and Relativism: A Perspective on Kenneth Burke by Robert Heath. Horns of Plenty 2 (1989): 53-55. Blakesley, David. Rev. of Reorienting Rhetoric: The Dialectic of List and Story by John D. O'Banion. KB Journal 2.1 (2005). Wess, Robert. Rev. of Representing Kenneth Burke by Hayden White and Margaret Brose, eds. Modern Language Notes 98 (1983): 1315-18. Lucas, Brad E. Rev. of Rhetoric: A User's Guide by John D.Ramage. KB Journal 3.1 (2006). Molin, Peter C. Rev. of Rhetorical Investigations: Studies in Ordinary Language Criticism by Walter Jost. KB Journal 2.1 (2005). Longaker, Mark Garrett. Rev. of Rhetorical Landscapes in America: Variations on a Theme from Kenneth Burke by Gregory Clark. KB Journal 1.2 (2005). George, Ann. Rev. of Rhetorical Landscapes in America by Gregory Clark. Rhetoric Society Quarterly 35.3 (2005): 133-35. Harper, M. Todd. Rev. of Rhetorical Landscapes in America by Gregory Clark. The Quarterly Journal of Speech 91.1 (2005): 113-15. Farmer, James O. Rev. of Southern Capitalist by Laurence Shore. American Historical Review 93 (1988): 236. Feagin, Susan. Rev. of The Culture of Criticism and the Criticism of Culture by Giles Gunn. Journal of Aesthetics and Art Criticism 47 (1989): 101. Anderson, Dana. Rev. of The Elements of Dramatism by David Blakesley. Rhetoric Review 21.4 (2002): 413-16. Henderson, Greig E. Rev. of The Legacy of Kenneth Burke Eds. Herbert W. Simons and Trevor Melia. Horns of Plenty: Malcolm Cowley and His Generation 2 (1989): 55-57. Heath, Robert L. Rev. of The Legacy of Kenneth Burke, Eds. Herbert W. Simons and Trevor Meli. The Quarterly Journal of Speech 77 (1991): 81-82. Kuhn, Helmut. Rev. of The Philosophy of Literary Form. Philosophy and Phenomenological Research 11 (1941-42): 223-26. Greenberg, Clement. Rev. of The Philosophy of Literary Form by Kenneth Burke. Partisan Review 8 (1941): 515-16. Millett, Fred B. Rev. of The Philosophy of Literary Form by Kenneth Burke. American Literature 14.3 (1942): 323-25. Smith, Jeffrey. Rev. of The Philosophy of Literary Form by Kenneth Burke. The Journal of Philosophy 33 (1941): 719-20. Tacciu, Elena. Rev. of The Philosophy of Literary Form by Kenneth Burke. Romania Literara 6 (1973): 15. Córdova, Nathaniel I. Rev. of The Rhetoric of Redemption: Kenneth Burke’s Redemption Drama and Martin Luther King, Jr.’s “I Have a Dream Speech" by David A. Bobbitt. KB Journal 2.1 (2005). George, Ann. Rev. of The Rhetorical Imagination of Kenneth Burke by Ross Wolin. Rhetoric Review 21.2 (2002): 190-93. Kenny, Robert Wade. Rev. of The Rhetorical Imagination of Kenneth Burke by Ross Wolin. Argumentation & Advocacy 39.1 (2002): 83-85. Coupe, Laurence. Rev. of The Rites of Identity: The Religious Naturalism and Cultural Criticism of Kenneth Burke and Ralph Ellison by Laurence Coupe. Religion 34.4 (2004): 363-64. Anonymous. Rev. of The Selected correspondence of Kenneth Burke and Malcolm Cowley, 1915-1981. Wilson Quarterly 13 (1989): 108. ---. Rev. of The selected correspondence of Kenneth Burke and Malcolm Cowley, 1915-1981. Virginia Quarterly Review (1989): 55. Bonner, T. Rev. of The Selected Correspondence of Kenneth Burke and Malcolm Cowley, 1915-1981 by Paul Jay, ed. Choice 27 (1990). Edmonds, Michael. Rev. of The Selected Correspondence of Kenneth Burke and Malcolm Cowley, 1915-1981 by Paul Jay, ed. Library Journal 113.19 (1988): 69. O'Hara, Daniel T. Rev. of The Selected Correspondence of Kenneth Burke and Malcolm Cowley, 1915-1981 by Paul Jay, ed. Journal of Modern Literature 16 (1989): 252. Poland, Tim. Rev. of The Selected Correspondence of Kenneth Burke and Malcolm Cowley, 1915-1981 by Paul Jay, ed. American Literature 61.3 (1989): 505-07. Stuttaford, Genevieve. Rev. of The Selected Correspondence of Kenneth Burke and Malcolm Cowley, 1915-1981 by Paul Jay, ed. Publishers' Weekly 74 (1988): 65. Faulkner, D.W. Rev. of The Selected Correspondence of Kenneth Burke and Malcolm Cowley by Paul Jay, ed. . Sewanee Review 97 (1989): 482. Keener, Frederick M. Rev. of The Three Genres and the Interpretation of Lyric and Representing Kenneth Burke by William Elford Rogers and Representing Kenneth Burke by by Hayden White and Margaret Brose, eds. Library Journal 108.6 (1983): 586. Schneider, Isidor. Rev. of Towards a Better Life by Kenneth Burke. The Bookman 75 (1932): 101-02. Campos, Paulo. Rev. of Unending Conversations by Greig Henderson and David Cratis Williams, eds. Rhetorica 19.3 (2001): 342-44. Price, Jerome B. Rev. of Using Social Thought: The Nuclear Issue and Other Concerns by Raymond Paul Cuzzort. Contemporary Sociology 20 (1991): 155. Hafley, J. Rev. of William Carlos Williams and the Diagnostics of Culture by Brian Bremen. Choice 31 (1993).